With so many options, choosing the perfect sofa for your home can be overwhelming. Below are some key questions you should consider before making a purchase. 1. How will you use the sofa? This seems like a simple question, but it is the most important one because the answer will determine which features you need. Many people have a “dream” scenario of how it will be used, but we recommend being realistic. 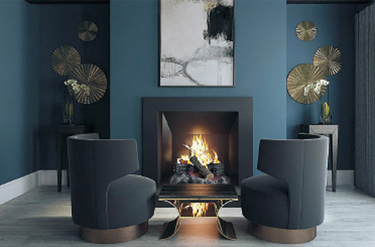 Some of the more common pitfalls we see are when people want their sofa to fit a specific number of people or for it to be super soft while retaining its crisp clean lines. For example, if the sofa will be used to entertain guests the idea of what is comfortable may be different than you imagine. Most guests sit upright to engage in conversation rather than lie down to relax. So, the ideal entertaining sofa would be less deep, offer firm seat edges for ease of balance, and have an average seat height of 20”. But, if the sofa will be used in a family room where you plan to read or watch television it needs to be what you feel is comfortable - especially while lying down. If you have children who will play on the furniture, consider a tight back sofa to reduce the visible aging of sagging back cushions. 2. How many seats/cushions do you need? This answer will depend on how you use the sofa. Keep in mind that even though a sofa may show three cushions, it is more likely that only two people will actually sit next to one another. For a family room, the fewer the cushions the better. 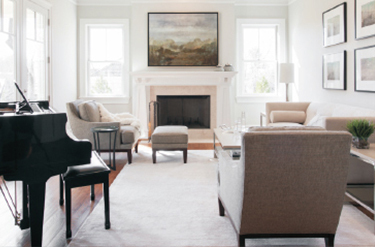 A big misconception is that a sectional offers more seating. However, the corner seats do not actually get used for seating; they are only used for additional space when lying down. 3. 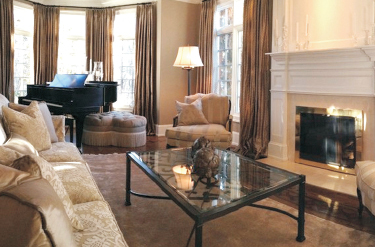 What type of upholstery cover should you select? To answer this question, we must first talk about using what interior designers refer to as appropriate “scale”. Scale means just that- to keep in balance. A quick rule of thumb is small pattern/small piece and large pattern/large piece. A solid is considered the largest of scale patterns. Patterns are important to understand as well. Many solids have woven textures that sometimes have patterns. These are generally considered to be solids. Some multicolored woven textures also are considered solids if the pattern doesn’t look like stripes or dots when viewed from a distance. Your next upholstery consideration is wear and tear. A leather sofa is usually the best option for serious usage. With no fibers to rub out, pill, or snag, leather upholstery generally outlasts fabric by several years. The main concern with leather is that it will get scratched. Consider only using leather that is top grain, full grain, and aniline dyed. The top grain, or top outer layer, of the hide is the most durable. Full grain leather means it is in one large piece. Using a full grain hide will avoid weakening seams where a lesser quality leather would be cut to avoid scars but seamed to make larger again. Keep in mind, a minimally scarred full grain hide is more expensive for they are more rare. With aniline dyed leathers, or drum dyed, the color will remain consistent if scratched because the dye goes all the way through the leather verses rolling the dye just on the top side of the hide which then shows white when scratched below the dyed surface. Most leathers will have a finish that will slow down its visible aging due to human body oils. The ones that don’t are meant to age naturally with use and your body oils. These will get shinier where your hands often touch and will stain if they come in contact with foods or liquids. 4. What type of cushions should you choose? With today’s selections, you will most likely get to choose your type of cushion. Foam cushions are less expensive than their down/feather filled rivals, however you get what you pay for. Foam performs well when new, but then breaks down and gives your sofa a worn out look long before its time. Feather filled cushions have the ability to quickly rebound after being “smooshed” out of place. A quick fluff and they will be as good as new! 5. Why does quality matter? 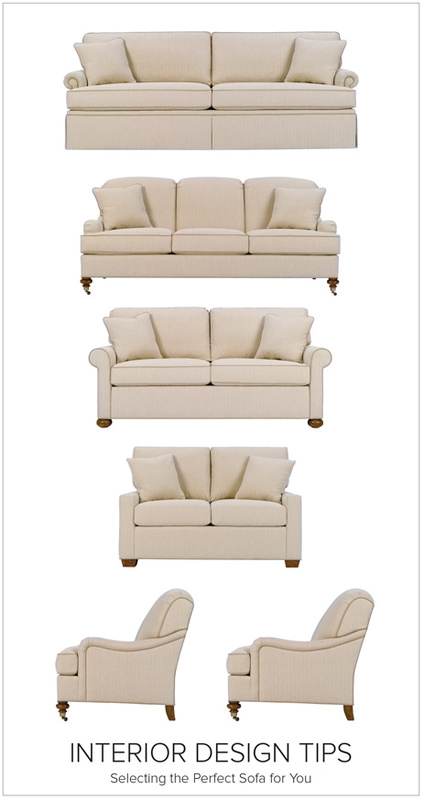 The higher the quality of the frame, cushions, and tailoring, the longer your sofa will last! A quality frame is the foundation that keeps your sofa from swaying and shifting over time. Quality cushions won’t break down quickly so will keep their look much longer. Precision tailoring keeps seams and joining fabrics from rubbing together. All of these features will help your upholstery fabric last longer. The less a fabric moves, stretches, twists and rubs, the longer it lasts. 6. How do you know if you are purchasing quality? With most of the construction hidden behind fabric, it can be hard to tell the difference between sofa frames. 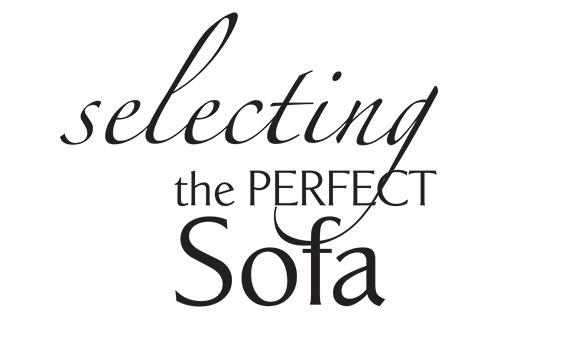 Here are some hints on how to determine the quality of the sofa. Inspect the fabric on the frame and look for 4-way matched patterns. This means that the arms should look exactly the same, the cushions should be consistent from back to seat as well as seat to seat, and the skirt and back should be appropriately matched. Examine the padding behind the fabric. If there is no padding on the sides and back of the sofa with the fabric hung like a drum, then be prepared for the fabric to tear. Higher quality manufacturers fully pad the never used backs and sides to keep the fabric taught. This keeps away wrinkles and helps protect the sofa from damage by giving it extra support and shock absorption. But, just because your sofa has a “bumper” doesn’t mean that the fabric won’t stretch and tear if hit hard enough. Notice the finishes on all exposed wood. When properly stained, the wood grain should still be visible and feel silky smooth to the touch. This shows that the manufacturer cared enough to invest in the labor required to spray and rub the wood allowing the rich patina to shine through. If the stain looks like it has been applied like paint, then you are safe to assume that the manufacturer has cut at least one corner.